What Does Guaranteed Issue Health Insurance Really Mean? As of 2019, the individual mandate is no longer imposed on those who choose not to buy health insurance, but many other aspects of ACA have remained in place, including the requirement that all individual market major medical plans be guaranteed issue. This means that those who purchase an ACA-compliant individual health insurance plan cannot be turned away for having a pre-existing condition or any other factor that may make them a greater risk to insure. 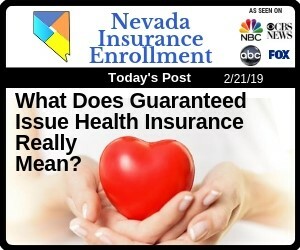 The term "guaranteed issue" refers to health insurance coverage that is guaranteed to be issued to applicants, regardless of the applicants' pre-existing conditions, their age, their gender or any other factor that might make them more likely to need health services. In most states, guaranteed issue doesn't limit what can be charged when an applicant enrolls in a plan. Before the Affordable Care Act's provisions took effect in 2014, individual market health insurance companies determined an applicant's eligibility primarily based on their medical history, including any pre-existing conditions. Applicants could be denied coverage, either altogether or for certain conditions, if the health insurance company determined that the applicant was a greater risk to insure. In other words, the individual market health insurance was not guaranteed issue. Beginning in 2014, ACA required that all individual market major medical plans be guaranteed issue, meaning that they couldn't turn applicants away based on any factors, including pre-existing medical conditions. To ensure that people wouldn't simply wait until they needed coverage to purchase it, enrollment was limited to a single open enrollment period. To make provision for those who had a significant life change that affected their insurance needs, such as the birth of a child or the loss of another coverage, special enrollment periods were instated. While long-term insurance that is purchased from individual market health insurance companies is guaranteed issue, short term insurance, as a general rule, is not guaranteed issue, though some policies may be. Among the most controversial provisions in ACA was the Individual Shared Responsibility Payment, which was often referred to as an individual mandate or fine. This required that every American, with few exceptions, had to either have health insurance through their employer, purchase health insurance on the Health Insurance Marketplace or pay a fee for foregoing health insurance coverage. Beginning in 2019, there is no fee for those who choose to go without health insurance coverage. Other ACA provisions, including the requirement that all individual market major medical plans be guaranteed issues, are still in place. While those who choose to forego health insurance are no longer required to pay a tax penalty, health insurance is still a necessity. Medical care costs are continuing to rise, and for many people, the medical bills that result from a single injury or illness could exhaust their financial resources and jeopardize their financial future. 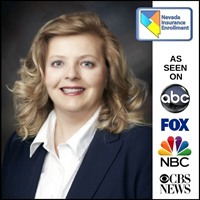 Nevada Insurance Enrollment's health insurance agents can help residents in the Las Vegas, Nevada region find an affordable health insurance policy that provides adequate coverage for their needs.